If you are one of the many advertisers using Google AdWords, you might have received an August 29 email about changes to ad rotation. You might be wondering what exactly this means, and more importantly, what the impact will be on performance and return within your Google AdWords account. 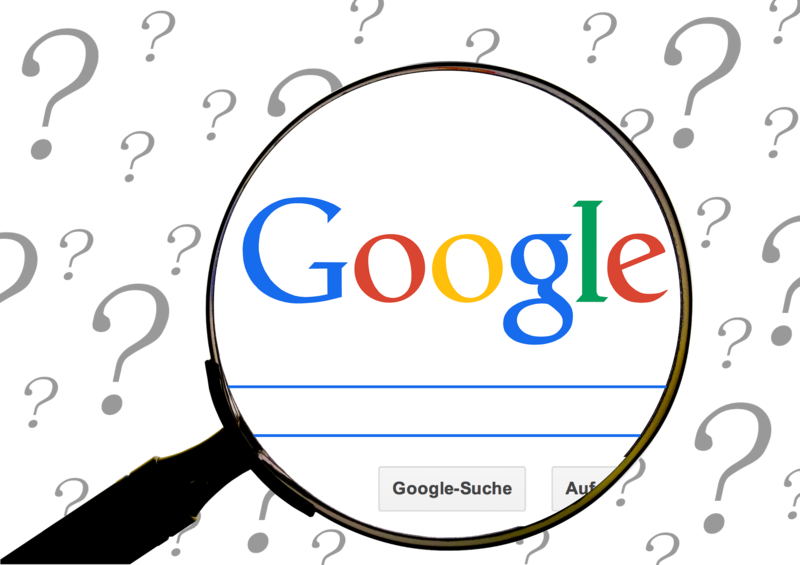 Google’s official response is unsurprisingly vague, and while ad rotation (the way Google rotates your Google AdWords ads) may seem like a minor consideration, it can have a big impact if not effectively managed. Overall, you should be cautious of Google’s statement, “You do not need to take any action at this time.” Be proactive. Sci-fi references aside, Google has made it very clear that the future of many of its algorithms are and have been relying on deeper implantation of machine learning. The same style of statistics and patterns that feed your GPS and tell you traffic problems are at play in the AdWords platform. The machines are learning, and fast. But the truth is that while powerful, machine logic is still in its infancy and needs some guidance by human hands. We recently found a perfect example of this when we noticed ads using the abbreviation for horsepower (hp) were limited on possible trademark violation for Hewlett Packard (HP). Ironic, but it shows that if that fantasy war between man and machine ever does happen, we do have a chance at survival. Google claims that previous ad rotation did not provide enough data into the decision making process. Off the record, we do find that often these types of changes do have a direct impact on financial gain by Google, and advertisers may see an increases in costs per click, that if not kept in check could damage the return you get on investment you made to buy ads from Google. “Optimize” will use Google’s machine learning technology to deliver ads that are expected to perform better than other ads in your ad group. But this leaves us with some questions. What are you optimizing for? Clicks, cost, conversions, conversion rate, ROAS (Return on Ad Spend)? – all of these have a different impact on ad placement, performance and return. After a phone conversation with reps from Google, we learned that “optimize” means different things in different networks. For search, unfortunately it appears to be optimized for clicks. However, for display the optimize is geared towards conversions. Admittedly, this feels a little backwards. Traditionally the search network, advertising in search engine pages, has been highly successful at driving leads. Here, optimizing for clicks has usually meant an increase in traffic, along with a potential increase in cost. On the other hand, a more conversional display network (advertising on someone else’s website using Google’s platform) may be a game changer for many advertisers. Display has traditionally been far more beneficial as a branding play with limited conversions and it has been far too easy to spend excessively without return. The idea of a more profitable display network is certainly intriguing, but time will tell, and expectations on this changing should probably stay low. The biggest thing to keep in mind with any change is that if you have a good foundation you can minimize the damage. Here are a few specifics that can make a proactive difference in your account rather than waiting out the storm. Smart bidding: If you are not already employing Google’s automated bidding tactics like Target CPA (Cost-Per-Acquisition), Target ROAS (Return On Ad Spend), maximize conversions, or enhanced CPC (Cost-Per-Click), you should start. Google’s machine learning is taking stronger signals from bidding strategies and seeing more success when they are in play. Manual efforts: Simple and regular manual review of the ads in your account has been a best practice for a long time. Check which ads have the best click through rates, the lowest cost per conversion and the best return on ad spend. Pause the poor performers, but also spend the time trying to figure out the messaging that chimes the best with your users. What words, features or benefit is making the difference in performance – test new ads regularly, but try to keep to three good performers and 2-3 test ads. Regular review: Check it, then check it again. Schedule a review if you need to. Problems creep up in an account when you aren’t looking, so do it frequently. Platform changes are less frequent and there is usually a warning, but competition moves, and regional and local factors can also make an unforeseen impact on your account. As an example, I’m pretty sure ad engagement in Houston, TX dropped off during the floods. Sure that’s obvious, but what other outside factors could be affecting your account? Overall, you should be cautious of Google’s statement, “You do not need to take any action at this time.” Be proactive. Your agency may have already reached out to you regarding the changes and effective action plans. If not, get a new agency. For most advertisers there shouldn’t be a negative impact of this change, but it never hurts to be prepared. Chad Crowe joined Techwood Consulting in 2016 as part of a merger. Currently, he manages Techwood’s implementation and account management operations. He holds a bachelor degree from Reinhardt University and a Master’s Degree from Troy University in Communications. Over the years, Chad has managed over $25 million dollars in paid search advertising.